What our Customers think of us..
“I first met Phil via friends recommendation when I bought “Urrsula” my CBR600 about two and a half years back. There were a few little issues with the bike, nothing major, but Phil quickly spotted two or three things that required immediate attention. He gave me an estimate and I said go ahead.Later that day I had a phone call from Phil, one of the problems was not just the head bearing but a wheel bearing compounding the issue. I got that sinking feeling that you get when a new garage rings you back with news like this, however I was about to experience something I had never experienced before in the motor trade. Phil told me that the wheel bearing which he hadn’t spotted was not a massively expensive part for him to buy and as he had not spotted it he would buy and fit the part within the estimate he had given me! Having phoned two or three mechanics for a quote before giving Phil the job I knew Phil’s price wasn’t the cheapest but he was by no means the most expensive either.. His approach to the situation instilled utmost confidence in his business. It also demonstrates his business model which is Value for money! “I just wanted to drop you an email thanking you for sorting out my bike this week. Being an Italian beastie, the RSVR 1000 can be a bit of a pig to sort out especially when you’re chasing down two electrical faults, sorted out the headstock and giving it a full service, but it runs sweet as it gets now and it’s like riding a new bike. From booking it in at short notice, loads of updates via text, very reasonable pricing and just the care you take when working on it, I can’t fault the service you offer and you’re officially the only bloke in Plymouth who’s allowed to work on my pride and joy. Phil has been servicing my Bikes for more than 10 years now and I’ve bought my last 2 machines from him.Phil is very thorough and whenever I pick my bike up after he’s serviced it I can really feel the difference.I ride just about every day in all weathers and need to feel confident that my bike is safe and reliable.With Phil maintaining it I have no worries on either score and know I can ride where I want,when I want with no nasty surprises. 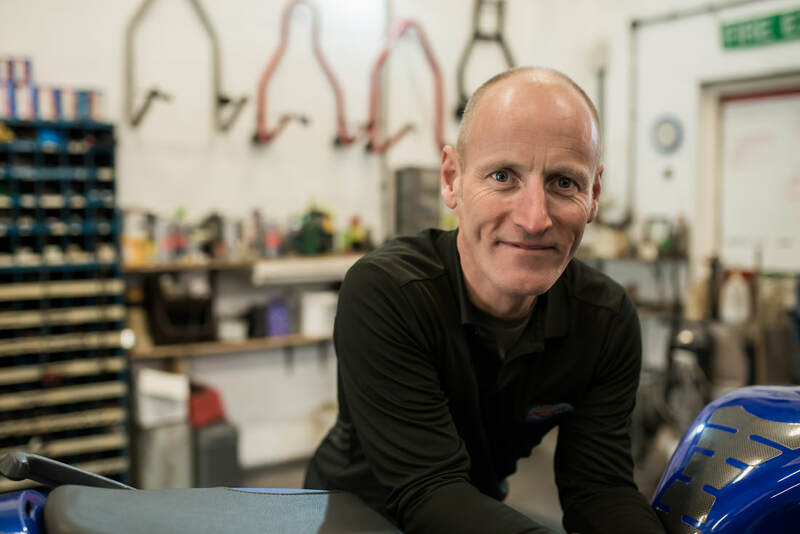 All of Phil’s used bikes are thoroughly checked before the customer picks it up and as I know from personal experience if a problem does occur within the Warranty period it’s resolved as quickly as possible. Bandits are prone to 2 things, leaking exhausts and Oil cooler failure. I was unlucky enough to have both but lucky enough to have them go within the 3 month warranty period.The Exhaust was fixed the next day, when the oil cooler started leaking I turned up at 3 in the afternoon, by 3.30 Phil had decided it was beyond repair and another one ordered and 24 hours later I rode away with the new Oil Cooler fitted.Sadly that kind of service isn’t standard in the bike trade. I wouldn’t get my bike serviced anywhere else and I’d think very hard before buying one from elsewhere as well, I know that from Cook Motorcycles I’m getting what I pay for, I can ride away knowing my new bike has been properly fettled and if anything does go wrong it’ll be fixed quickly and without fuss.